April, 1984. 13:00. Comrade 6079, Winston Smith, thinks a thought, starts a diary, and falls in love. But Big Brother is always watching. Set in a world where an invasive government keeps a malevolently watchful eye on its citizens, this radical and much-lauded staging of the literary classic explores surveillance, identity and why Orwell’s vision of the future is as relevant now as ever. 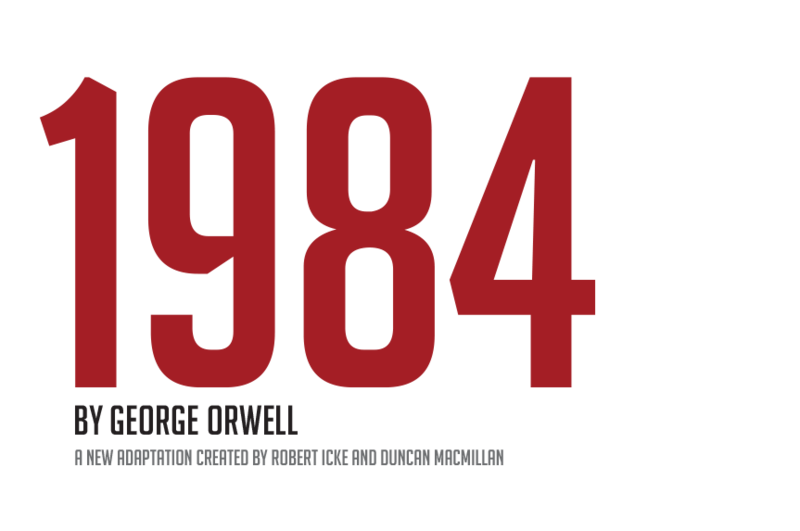 Produced by UK theatrical innovators Headlong along with Nottingham Playhouse and the Almeida Theatre, George Orwell’s dystopian classic came roaring onto the stage in 2013 and since then it has become an international phenomenon. Seen by over 500,000 people worldwide, it has enjoyed three hugely success­ful West End seasons and a season on Broadway and national Australian tour. A literary masterpiece meets sheer theatrical ambition as one of the 20th century’s greatest novels is given new life by some of the British theatre’s fastest rising stars. 1984. Book now. Big Brother is watching!